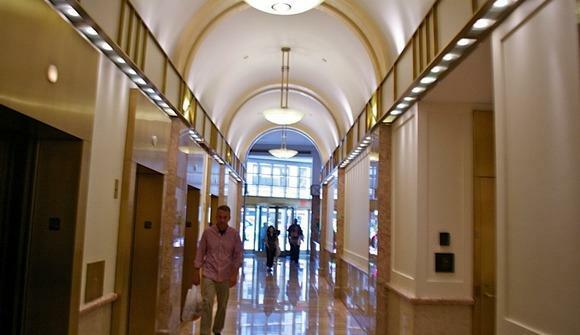 At the crossroads of midtown Manhattan’s most coveted neighborhoods lies Jay Suites Penn Station. With Times Square to the north, Herald Square to the south and Penn Station just west, it’s no wonder that Broadway was the place of choice for our next location. 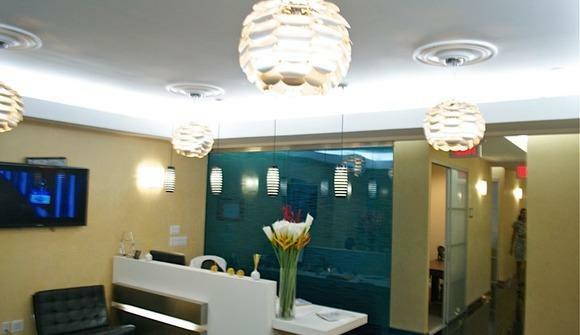 The center boasts convenient subway access and an easy commute to and from Long Island & New Jersey. 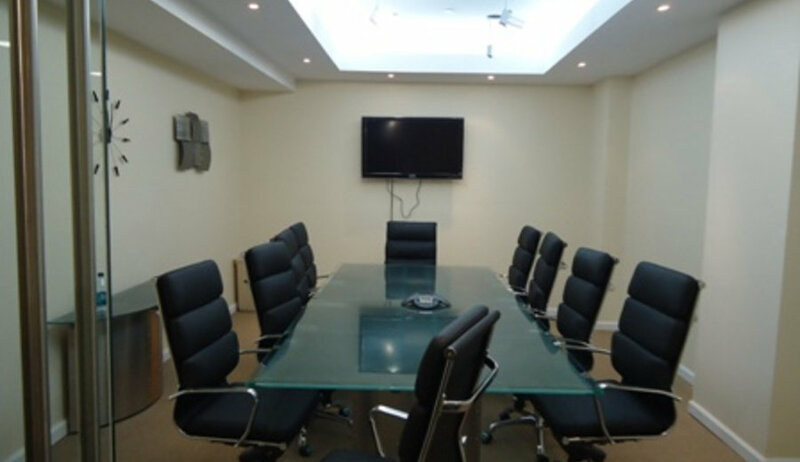 A modernly appointed reception area complements our state-of-the-art conference rooms, and brings the concept of office space to a whole new level. 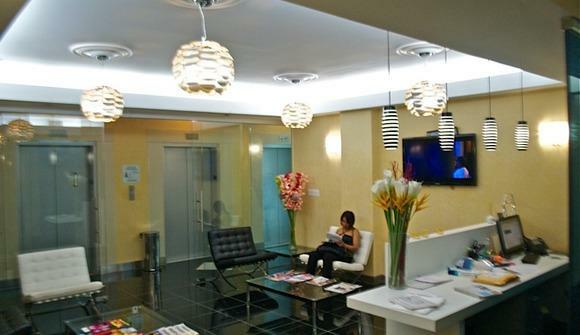 Jay Suites Penn Station is located on the fifth floor of 1370 Broadway, on the southeast corner of 37th and Broadway. The 18,000 square foot center in in Manhattan’s Times Square South as well as the fashion district. 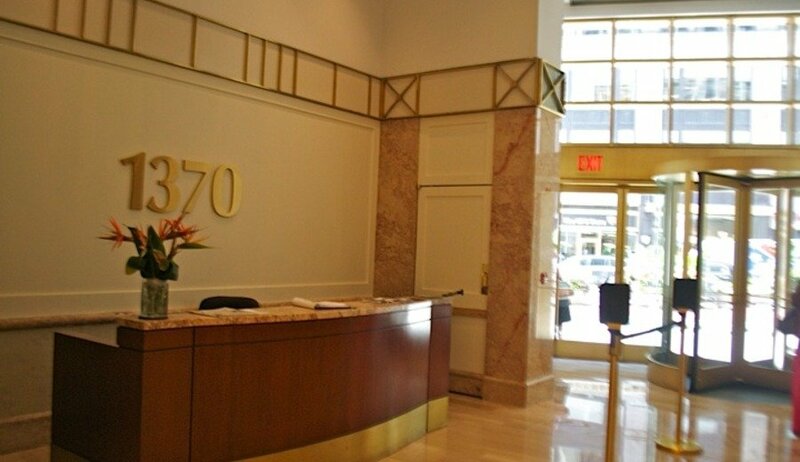 An inviting polished marble lobby is staffed 24/7. The building hosts a variety of distinguished tenants such as clothier Espirit, the Sharper Image brand and financial services firm Rosenthal and Rosenthal. Minutes from the major transportation hub Penn Station, which also has shops, restaurants, and other amenities. Pedestrian mall with chairs, tables and art exhibitions on the street level. Surrounded by banks, Starbucks coffee shops, FedEx Kinko’s copy and print centers and the area’s grand post office. 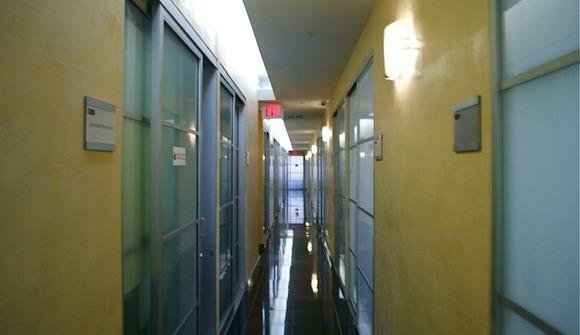 Home to some of the city’s finest architecture with the Empire State Building just blocks away. Next door to the famous and eventful Gotham Hall. 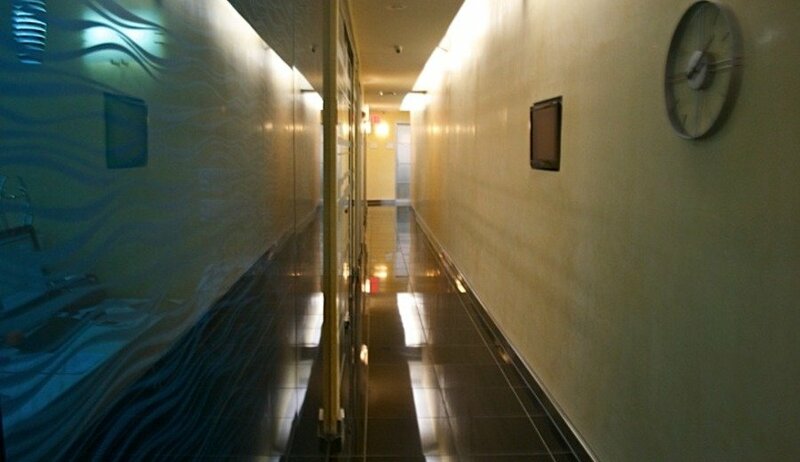 Grand glass entry into a designer, modern reception area with high-definition TVs and WiFi. Friendly receptionist to greet clients, answer phone calls, and do your administrative work. 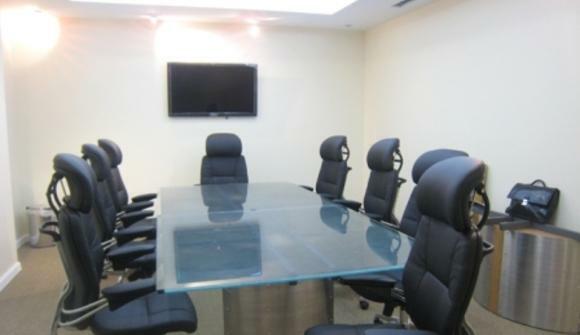 First-class, luxuriously furnished offices with desks, chairs and filing space. 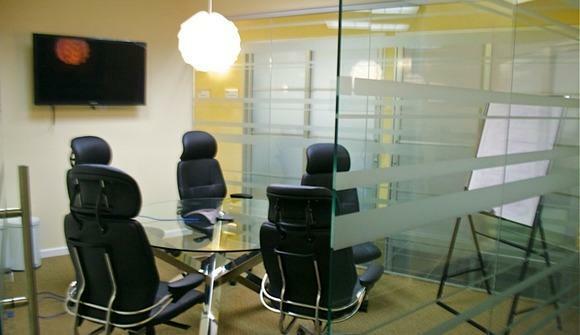 Two Conference room equipped with ergonomic chairs, frosted glass meeting tables, video and teleconferencing. 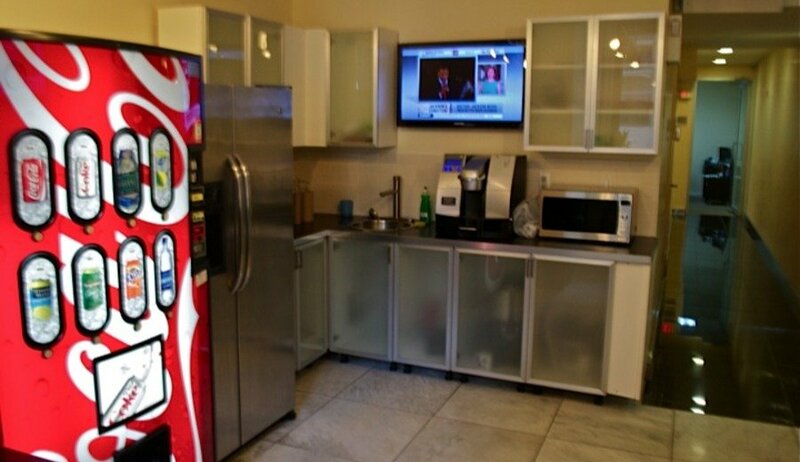 Break Room with a sitting area featuring leather stools, vending machine, microwave, refrigerator, filtered water, and freshly brewed coffee. 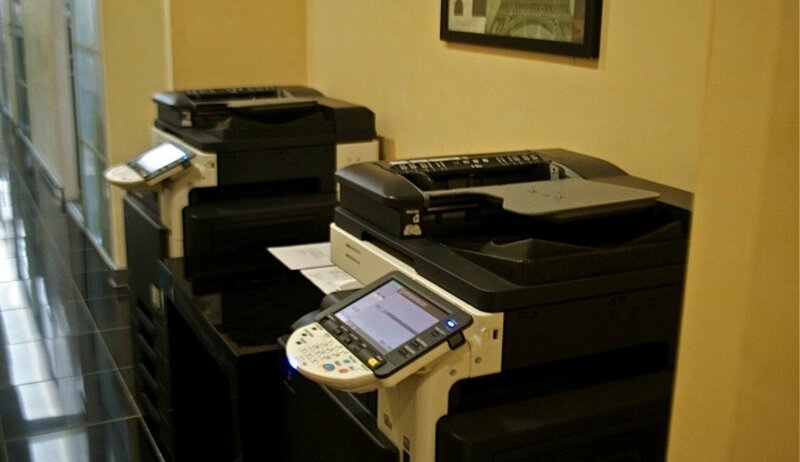 Blazing fast HD Konica Minolta color printer, fax, copier and scanner.